Are you getting a good ROI on your healthcare trade shows? Let’s face it … exhibiting is high-risk, high-maintenance marketing. Conferences are a huge investment of money and time, and the rewards are not always immediately apparent. The worst is when your sales team complains that none of the leads are any good. But exhibiting at trade shows should not feel like gambling. There are steps you can take to ensure you leave each show with solid, high-quality leads – and a happy sales team. This post will walk you through them. When I was first given the task of handling trade show logistics, I was incredibly nervous. The costs involved seemed astronomical – $200 to use a wastebasket for 2 days?!? – and I had never before attended a trade show in the healthcare sector. Over the next three years, I would grow to handle the logistics for dozens of shows, devise a shareable tool to help our team keep track of every detail for every show, and create the pre-show and post-show campaigns. This is what I wish I had known then. Choose the right conference – and learn who is attending. Remember, the role of physicians has shifted considerably. Take a hard look at your budget. Shipping is governed by Murphy’s Law. Know the rules of the show. Make sure your booth is in good shape. You will want an emergency kit. Never confuse a speaking opportunity with a sales pitch. Set your goals and lay out your campaigns early. Let people know you will be there – start promotions early. Plan for a bigger impact by hosting your own event. Social media is a networking goldmine. Use it. Ask the conference for help with the media. Schedule meetings ahead of time. Be sure your team knows how to respond when competitors come to the booth. Consider some healthy competition among your team. Send your staff to seminars. Focus on building relationships, not making sales. Gather testimonials and do market research. Create a system for capturing and qualifying leads. Booth babes are a deal-breaker. Do a nightly de-brief with your team. Successful trade shows require a lead generation mindset. The best way to ensure you get a good ROI on your trade show is to start preparing for it early. There are a lot of details to consider and much to coordinate in advance. Start your planning a few months ahead of time, although you may well reserve your exhibit space a year in advance. You cannot generate good leads if you pick the wrong conference. And picking the right one starts with understanding who attends. Susan also emphasizes finding out what attendees are interested in learning, and then addressing that. Smaller, regional conferences will have a different audience than larger, international conferences. Yet they can be just as effective if the attendees match your target audience. But sometimes, you have to take risks. I recall attending a pathology show specifically to test a new audience. Unfortunately, it was a complete fail. The show, itself, was not designed to promote the vendors, at all. Literally, HOURS went by each day without anyone but vendors in the exhibit hall. Worse, even when a non-vendor occasionally appeared, they were not even slightly close to interested in our product. My feet still ache thinking about it. Can you really afford to do the show? Will you have to forego other shows in order to attend? Is the ROI worth it? Do you have comparison data, so you can know for sure if the ROI is worth it? Pay strict attention to deadlines for each conference. You can wind up paying a lot more if your booth arrives late. This can also create logistical nightmares, as they may require you to ship your booth to a different location after a set date. Many conferences will require you to hire them to install your booth if you cannot set it up on your own within 30 minutes. Know the details of each conference – and make note of any unusual regulations that could cost you. To the extent your budget permits, aim for well-trafficked booth locations. For instance, by food and drink stations, en route to the bathrooms, in aisle corners, by entrances or near meeting rooms. Lock desirable locations down early. Pack shipping contact information with those staffing the booth, and also keep the coordinator (if they are not attending) in the loop. I once discovered that our booth had been shipped to the wrong city, and I had less than 24 hours to get it to Vegas for the show. It required calls all the way up the chain – and a good deal of last-minute internet searching to figure out who the top person actually was. It was an awful ordeal, but the booth arrived on time. Pack efficiently to avoid special handling surcharges. Note the deadlines for sending to the advance warehouse vs. direct to show site. Use the shipping labels provided for ease of identifying shipments. Please have all tracking information with you at show site. I remember fruitlessly trying to find cheaper ways to ship a – very small – booth. I was looking into FedEx and UPS, and was just about to use them, when I learned they simply aren’t show-focused the way Freeman and the other dedicated carriers are. That means, if they cannot get to the delivery location, they leave and make another attempt the next day. Of course, when you are arranging a trade show, there is no “next day” – you need the booth when you need the booth. As I recall, the cost was not much less than the dedicated carriers, but there was no getting around not being able to reliably drop off in the right location at the right time. For instance, only certain types of promotions or giveaways may be allowed. Furthermore, you will likely have to have any promotions approved by the conference, which can cause unexpected obstacles. When I was at OpenTempo, I created a conference postcard with a humorous take on Star Trek’s Dr. McCoy’s famous phrasing: “Damn it, Jim, I’m a doctor, not a scheduler.” Much to my surprise, they rejected the ad due to language – and would not even accept “darn” as a substitute. That led to some last-minute scrambling to re-word and re-design the postcard. So, pay close attention to all the conference rules before you finalize your marketing campaigns. Take time to get your booth cleaned. Repair damage and replace parts, if needed. 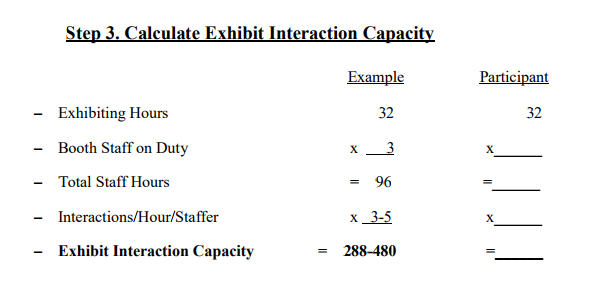 One exhibit I worked with had perpetual problems with a cabinet door. We tried several emergency fixes and, eventually, replaced the part. Has your messaging changed, or have you created targeted messaging for this specific event? If so, make sure your booth signage reflects that. Create an emergency kit and always pack it with your booth. Include screwdrivers, pliers, duct tape, Scotch tape, hand sanitizer, baby wipes, band-aids, chewing gum, pens, paper clips, stapler, and anything else you think might come in handy. I remember an entire show where only one of our two display terminals could get the wifi. We tried everything to connect it, but nothing worked. In the end, one terminal had to use a PowerPoint presentation. It wasn’t ideal – but it got us through. Getting a speaking slot at a major trade show is very competitive. Do your research early as the review process can be most of a year for large conferences. Craft your pitch AFTER you read what they are looking for. There is no point trying to pitch them on value-based care if they are focusing on interoperability. Company leaders often need help understanding that their talk should NOT be a sales pitch. Many is the time I have had a carefully crafted, educational speaking proposal get accepted – only to have the presenting CEO turn it into a sales pitch. Epic fail. Once you know the details of the conference and its attendees, you need to start thinking about your goals. What are you hoping to get out of this investment? What will make it worth the investment? Bring in 10 new leads already looking to buy your product. Get 200 sign-ups on your drip campaign. Add 175 followers on Twitter. Schedule 15 follow-up appointments with qualified leads. Gather 3 topic ideas for a webinar series. Determine the process and software you will use for tracking your goals. If you do a lot of events, event-tracking software may offer you more than your marketing automation alone. Above all, be clear on how you are following up with each lead. Once you know your goals, you can start planning campaigns. Be careful to have one clear message or call-to-action that can be seen from a distance. Don’t clutter your booth with too much imagery or text. Resist the temptation to do something cutesy or overly subtle at the expense of clarity. You will only have a split-second to attract someone’s attention, so don’t make them have to guess what you do or work too hard to find out. Consider having a branded look for your staff – like company t-shirts or same-color shirts. Your goals will help you decide what types of marketing campaigns to implement for the show. Determine the standards for MQLs and SQL ahead of time and establish any necessary landing pages, calls-to-action and follow-up funnels. Build buzz around product launches and user events. Set up social media campaigns, create targeted hashtags. Consider setting up account-based marketing campaigns to target key prospects. Breakfasts, cocktail parties, customer appreciation, user groups, meet & greets can all be effective. Pay attention to the schedule and follow the conference hashtags so you know when others are hosting events. This will allow you to time yours to have the biggest impact. Notify your own database by email and, if feasible, by snail mail. For some, even phone calls. If you purchased a list, notify them, too. 1. Yes, I will attend. 2. Yes, I’d like to attend but can’t. Please call me with a synopsis of the program. •	Corporate social responsibility (CSR) initiatives: building bikes, painting a playground, etc. Get involved in the conference on social media; don’t just passively share links to your latest blog posts. Start relationship-building with influencers and targeted prospects. Follow the relevant hashtags ahead of time. Create your own hashtags. Check out the conference social media groups. Post facts about the city, good restaurants, impromptu meet-ups, fun things at your booth, upcoming talks and presentations. For Twitter, always include the event hashtag for pre/post-marketing, and especially for live tweeting. •	Tweet out quotes from speakers or presenters. •	Search for questions being posed using the event hashtag and answer them. •	Tweet questions or polls of your own using the hashtag to engage your followers. •	Share photos from the event using your image templates. •	Post videos of behind-the-scenes footage, or updates from the event. •	Retweet event speakers, presenters, or performers. •	Retweet humorous or insightful comments about the event from other Twitter users. Make your life easier by scheduling tweets in advance, such as in the days leading up to the event, or right before a scheduled talk. You should also use a tool to help you track the event’s official – and unofficial – hashtags, as well as your own branded hashtag. She also gives great – and hilarious! – do’s and don’ts for creating your own branded hashtags in The Rules of Twitter Hashtags: Hits and Misses From 7 Big Brands. Social media can help you connect personally with prospects you want to meet at the trade show. It is also invaluable for following up with people after the event. If you will be making a splash at the event (breaking news, releasing a big new product, presenting game-changing research results), ask for the event media list. In another example, the 2015 RSNA offered a media guide that included tips on how to reach out to the media (before and during the show) and how to create a press kit. – What topics has this journalist recently covered? [su_quote cite=”Official RSNA 2015 Online Press Office” url=”https://www.rsna.org/uploadedFiles/RSNA/Content/Annual_Meeting/Technical_Exhibits/Exhibitor_FAQs/RSNA%20Presentation%202015.pdf”]– Who? Who will be available for interview? Who will be demonstrating? – What? What will be on display? Review sponsorship and other marketing opportunities offered by the conference. Leverage the power of the conference brand – and their distribution list – by sponsoring a webinar or break-out session. Company listings are generally worthwhile, though, as they are used as industry-specific resources. Weigh the pros and cons of ads, both online and off. Before investing, make sure your expectations are realistic. Brand awareness is hard to measure, and hard to establish from a single ad. Running a series of ads will do better, but may still not generate the impact you want. Using conference banner ads or sponsored placements to promote a white paper or guide is much more likely to bring in qualified leads. •	Introduce solutions only after a significant case has been established, demonstrating a clear need. •	Include interviews with third party sources – readers like to see what their peers are doing. •	Include market trends and drivers – Remember, market drivers are about your industry and not about your solution. •	Make the title a promise, or a result the reader will achieve after reading the white paper. •	Address the why: Does your title explain why readers should read your white paper? Depending on your budget, you may want to try a hotel drop. These require a strong CTA, as well as something memorable – one postcard among many is unlikely to give you the response you are hoping for. A great example of a memorable hotel drop is this hangover kit from Attend.com. It includes everything from alka seltzer to a vial of 5-hour energy. 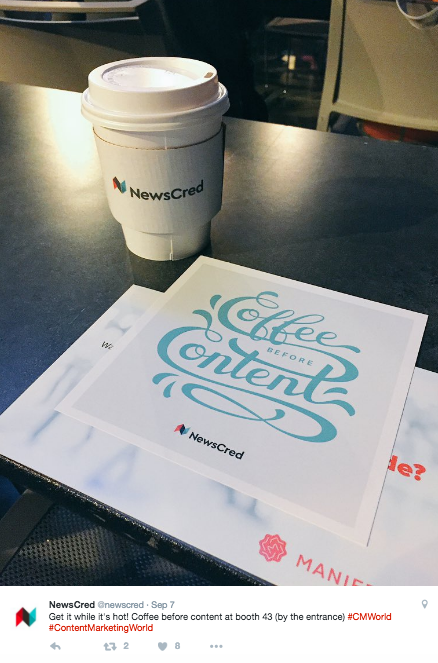 Melissa Blazejewski of NewsCred also recommends doing “chair drops” – in which you leave a targeted bit of swag with a CTA at a seminar, instead of the hotel. Set up meetings with customers and prospects ahead of time. Get them on the calendar. This takes time and follow-through but is too important to overlook. There are lead capture apps, photo apps, business card-capturing apps, prize and giveaway apps (if you don’t have a big spinning wheel or the space for a large giveaway) and team organization apps. There are even apps that let you create surveys without an internet connection. See “The Top 7 Apps for Trade Shows” from Lisa Bertaina of Expo Marketing. For each day, assign people to take photos and video. If it’s within your budget, send people to pre- and post-events, too. Too many vendors invest in expensive booths and detailed campaigns, only to send poorly trained staff to the event. Never assume that people know what to do at trade shows or how to engage prospects. I have been amazed to see even higher-ups standing around talking to each other at trade shows, as tons of prospects walked right on by. Set up trainings ahead of time and make sure that everyone at the event knows what to say, what the CTA is and how to qualify leads. Role play it. Make sure everyone is comfortable giving a demo and answering basic questions, not just the sales reps. While you’re at it, teach everyone to exercise some restraint when handing out marketing materials. You don’t want to run out of everything on Day 1, and some people just love to hand things out. Above all, make sure everyone knows not to give away your most expensive marketing pieces to just anyone; save these for only your best leads. Assign seminars to your staff so they can learn and network. Scout out the other exhibits and see what ideas you can apply to your own company. Give some thought to how you arrange your booth. Look at it from a distance, as well as up close. Ssee what jumps out at you – and what is not visible. Candy and coffee are still used as lures. It is amazing how many people cannot resist candy – especially a good brand of chocolate. I always smile when I see people attempting to sneak by my booth unnoticed, even as they grab a huge handful of candy right before my very eyes. [su_quote cite=”Nimlok, How To Use Trade Show Contests To Drive Traffic To Your Booth” url=”http://nimloktradeshowmarketing.com/use-trade-show-contests-drive-traffic-booth/”]In-booth activities work best when the contestants are active rather than passive participants. When planning your contest, think about ways to get your participants engaged with your staff, product or service. •	Task yourself or a staffer with playing the role of a host or emcee to introduce contestants, make announcements and engage with the audience to keep the game interesting. •	Create games and contests that revolve around contestants inspecting, using or answering questions about your product or service. Make use of face-to-face time at trade shows to get testimonials from customers (extra points if you get them on video!). Trade shows are also an exceptional opportunity to do market research. Come prepared with questions. Take notes of the exact wording people use. Make sure staff are tracking what topics people are interested in and which demos they ask to see. This is the kind of information that will help you create future messaging and segment your leads for the appropriate follow-up. If there are press there, snag an interview; stay in contact with the journalist. Talk to editors. At one show, I ended up speaking with the editor of Radiology Today – and landed my company an article in their publication. It makes me sick that I still have to say this … but women are not props. Too many companies still think booth babes are good marketing and do not realize how many customers they turn off by using them. Let me tell you about my first encounter with a booth babe. 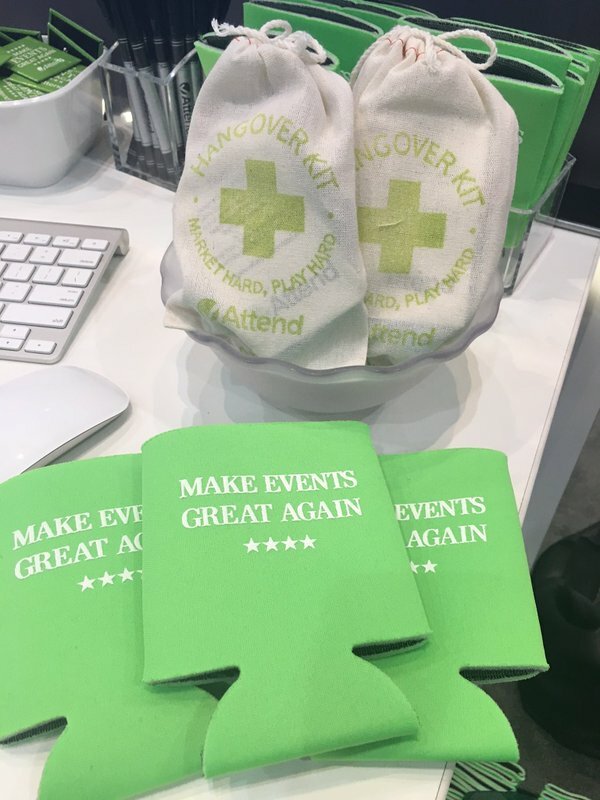 It was at my very first healthcare trade show. I had just started a new job and was there with my (male) boss and a (male) senior sales rep. I am pleased to say my boss was vocally disgusted by the display. Personally, as a buyer, I would never buy from a company that used women as props, let alone in such blatant positioning. Still, at the time, I recall feeling an internal pressure (not from my boss or company) to avoid being labeled “that girl,” the one who makes trouble. And I also recall feeling protective of the model. Those are some pretty interesting sentiments to risk stirring up in potential prospects: disgust, protectiveness, embarrassment. And don’t forget the goal emotion, which, presumably, is arousal. None of these put people in a good frame of mind to buy. So, consider that – assuming simple respect for other human beings is not sufficient to deter you from using booth babes. And while I’m on the topic – why are booth babes even still permitted? Given all the fine print and regulations on every aspect of even the smallest healthcare trade show, surely a rule could be made about that. Make sure sales reps follow up with hot leads ASAP. Enter all the MQLs in your database ASAP, too, so you can launch your follow-up campaigns immediately. Delayed follow-up is the biggest mistake vendors make. It costs sales and undoes months of hard work. Assign leads right away and make sure everyone has a follow-up plan. Then make sure they stay on top of it. Follow up, too, with reporters and other relevant contacts. If you gave a talk, post the slides to your website. Compile your notes. Organize your videos and photos, and start planning the best way to use them. Decide on post-conference campaigns to further promote your message. Above all, look at your data. Go back to those goals you set so many months ahead of time and see what actually happened. Compare your results to other trade shows, and to the same show from previous years. Set up a tag in your CRM or marketing automation so that you know who attended the conference. This helps you track how many leads from the show become customers, even if you have a long sales cycle (which, in healthcare, you probably do). the show with your team. Driving traffic to your booth is never as simple as just saying the right thing or setting up your booth the right way. 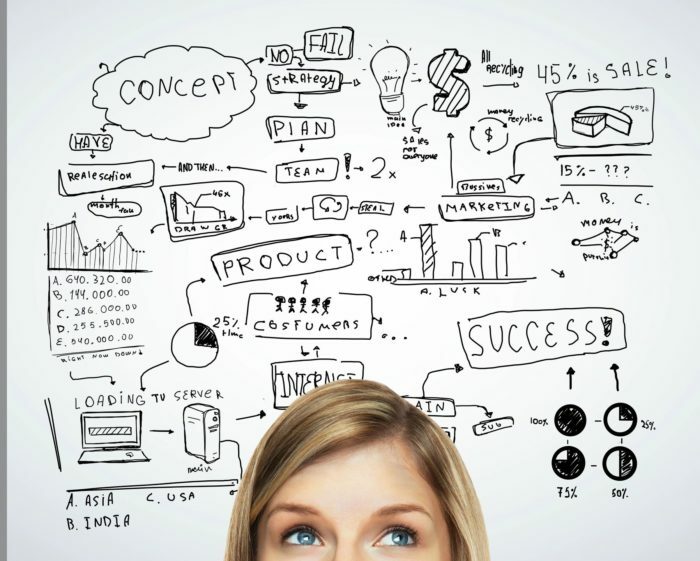 Your marketing needs to be rooted in the needs and thoughts of your target audience. If you need help creating that lead gen mindset, try my – totally free – ebook on How to Be a Lead Generation Machine.